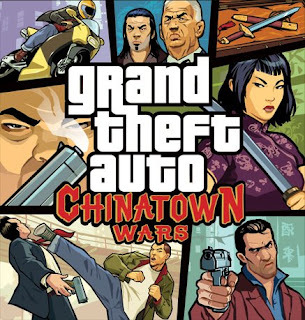 Rockstar has recently announced the launch date for Grand Theft Auto Chinatown Wars exclusively for the Nintendo DS. The newest installment in the Grand Theft Auto series is set for launch on March 17, 2009 in North America and March 20, 2009 in Europe. Rockstar didn't release anymore info on the game aside from the launch date. You can visit the Grand Theft Auto Chinatown Wars site via the link below. Looks interesting. I wonder if they will release something like this for the iPhone. Well, Rockstar is making GTA: Chinatown Wars for Nintendo DS. There are also rumours circulating of a new PSP GTA game. Considering that Metal Gear Solid is moving to the iPhone, a GTA game wouldn't surprise me.